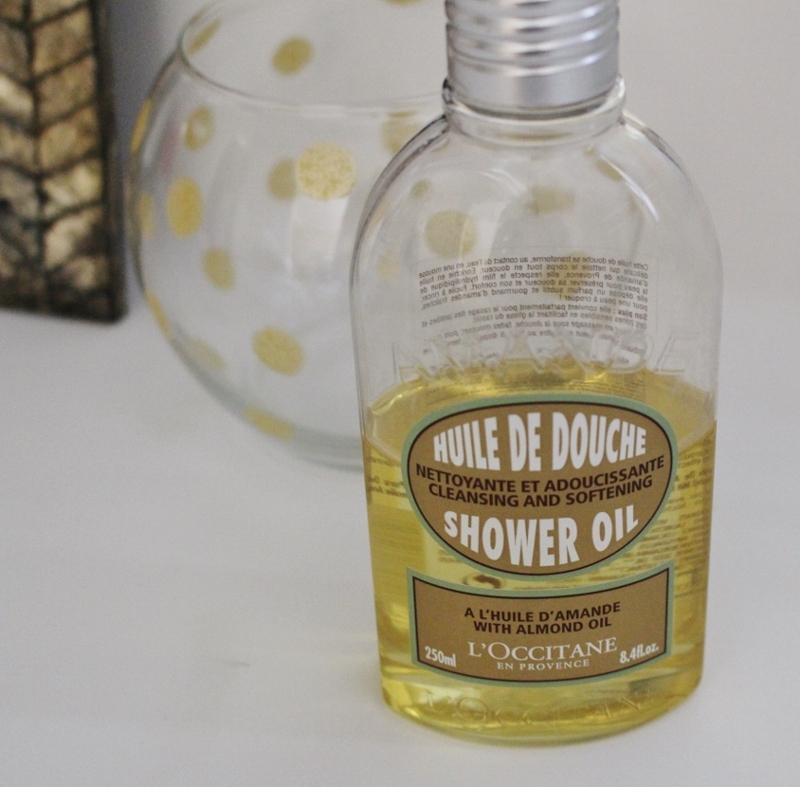 I'm not one to splurge on shower or bath products terribly often, but after reading the hype about this L'Occitane shower oil, I decided to leave my Aveeno on the drugstore shelf and give it a try. The good news is that I love everything about it - the light almond scent, the luxurious feel of it on my skin, and the moisture that it imparts even after my shower is done. The bad news is that I love everything about it! The lather isn't very strong, I presume because it's an oil, but it also isn't greasy like I feared it would be. I think all skin types would benefit from it. I like that this scent stays on my skin, and it's a gorgeous way to start or end your mornings and nights. I tried First Aid Beauty last year when I bought an eye brightening cream from the line. 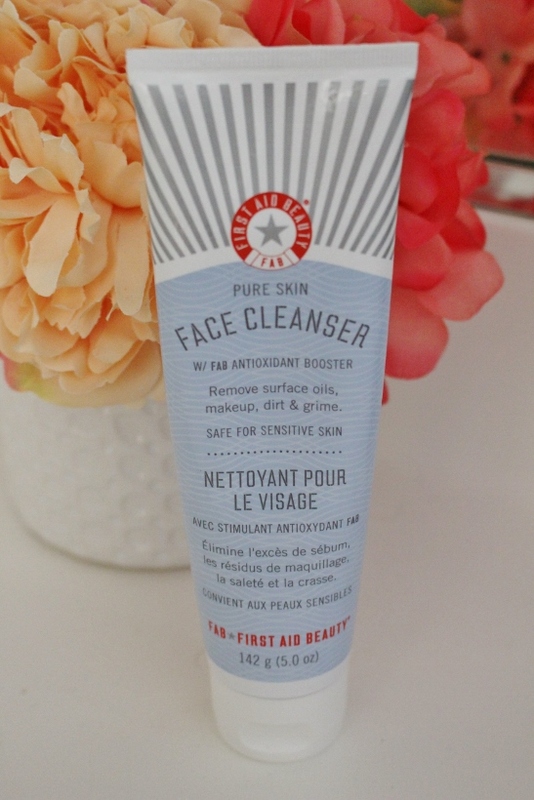 I loved that product so much, that I decided to give their face cleanser a try after my Cetaphil ran out. Honestly, nothing beats a bottle of Cetaphil. It's great for all skin types, it cleanses without stripping your skin, it's easily accessible at any drugstore, and it's cheap! This is essentially the fancier version of that, meaning that it acts in a similar manner. Even my husband uses it (and that is very rare). I don't know if I'll continue buying simply because it's more expensive than Cetaphil and why pay more? But if you're in the market to try something new and don't mind paying a few dollars more, this works great. We all have a love/hate relationship with Essie, right? I hear it all the time - great color range and pretty bottles, but the formula can be a giant pain to apply and work with. You don't always get what you see in the bottle, but I guess that spans across brands. I'm no novice to a good manicure. My mom was a manicurist while I was growing up, and I practically lived in the salon with her, occasionally painting older ladies toes. I love the look of well-groomed nails, even better if they are polished nicely. This color called Cabana Boy is part of Essie's "Retro Revival" collection, and to say that I'm in love with its pearly grey tone is an understatement. It does go on very sheer at first, but give it another coat and it quickly transforms into neutral mani perfection. This obviously isn't a beauty product, but it sure is beautiful to look at (and smell). I have a serious candle obsession right now, and I can't for the life of me walk into Target without buying one. My favorite candle of all-time is called volcano by Capri Blue, and I swear that this smells extremely similar and is half the price. The scent is faint at first, but then fills up an entire room. I keep one on top of my bathroom counters, and I light them whenever I'm home. There's just something so warm and comforting about a lit candle. It instantly lifts my mood, and it makes me feel kind of glamorous too. Strange, but undeniably true. I just tried the oil from a Sephora sample and I love it! Does the face wash remove makeup? 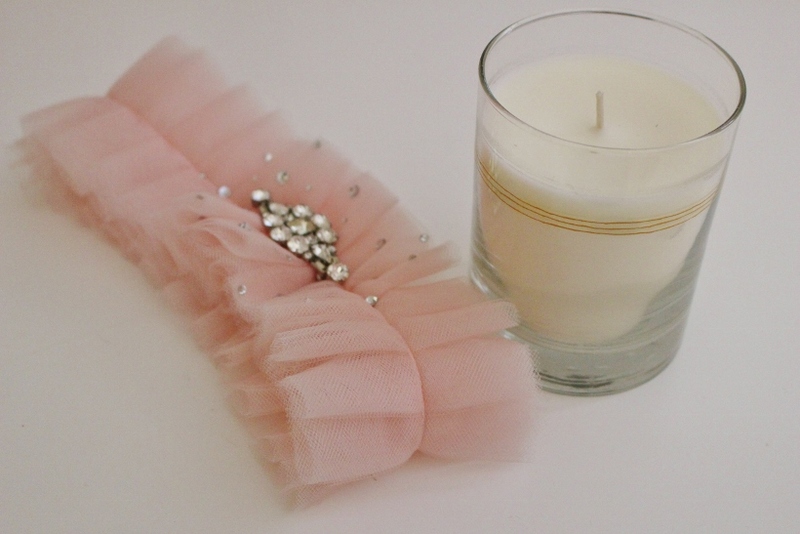 And love the candle! Thanks for the recommendation via snap! Thank you Gretchen! I'm glad you liked my candle recommendation! The face wash is very gentle, but it does take off my eye makeup. I wouldn't solely use it for that purpose though because it does leave traces behind. I usually take my eye makeup off with a makeup remover sheet. I like Aveeno and Neutrogena for that! Ok so you've totally sold me on the bath oil and the cabana boy! Off to buy! The bath oil is amazing! I don't think I can go back to anything else, at least not for awhile. Ahh!! You and all these comments are making me want to try the shower oil!! I don't know if I dare look at the price tag! LOL. I will have to check out that candle next time I'm in Target - I agree. There's something nice and homey about having a candle burning and making your home smell amazing! Love reading your thoughts on these products! I tried the loccitane oil, and while it was amazing for shaving with, I'd rather spend my money on perfume than a body wash. Good to know Cetaphil works as well as First Aid. As for what I would recommend - the new Pantene airspray hair spray has replaced Elnett for me...my curls last 3x longer and it's so light - I love it! I am forever addicted to that shower oil and people keep telling how nice I smell. The scent is the best part. These Bella candles smell SO GOOD. I have bought a few different ones in the past. Saving this scent for next time. Which also reminds me, I need to burn my candles more! I don't do it enough anymore. I've tried a bunch of new products/samples lately but nothing has really wow'ed me. Although, I can say I recently used the Shea Moisture Body Zanzibar Marine Complex Replenish & Rejuvenate Body Wash and I LOVED IT! You can get it at Ulta or Target. Bath oils are amazing, they really do keep your skin well moisturized! Yes these are really very nice.